Details of the amazing Hoopdance & Yoga FACILITATORS below!! 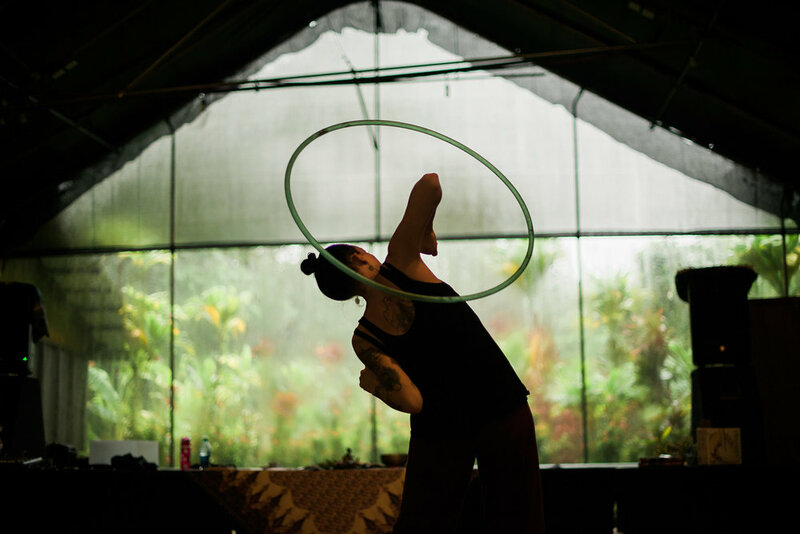 In-Depth is an annual intensive hoopdance retreat held on the Big Island of Hawaii at Kalani Oceanside Retreat, produced by Caroline Cárdenas creator of The Hula Hoop Girl. 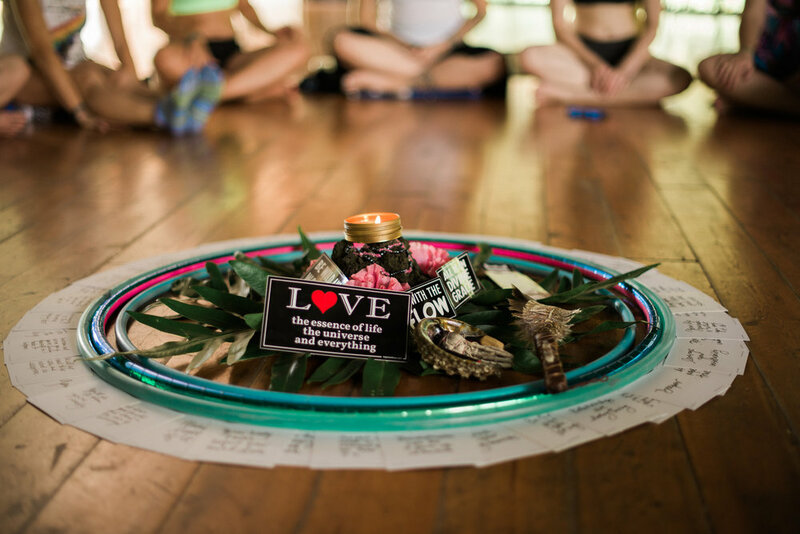 An intimate setting with a maximum capacity of 35 participants, In-Depth seeks to provide focused, fun, and challenging hoopdance material for beginner, intermediate and advanced practitioners while holding a creative and safe space for unplanned and unknown Big Island MAGIC to occur. 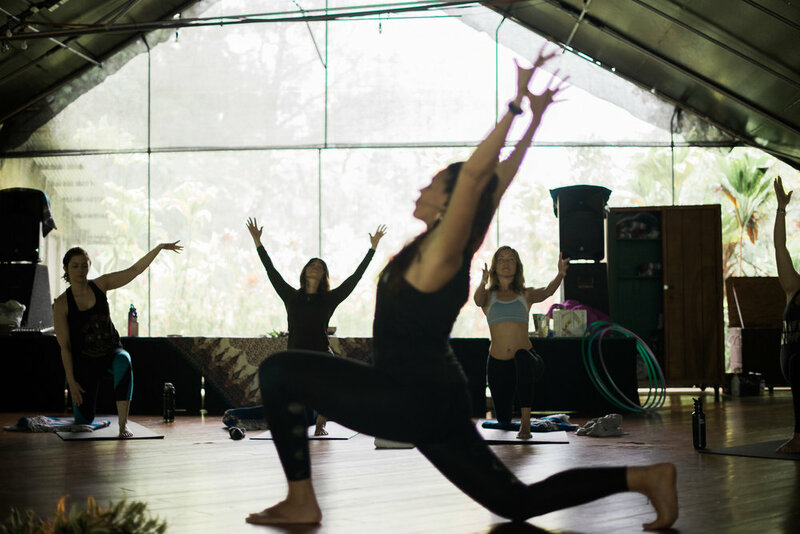 The In-Depth experience is designed to take beginner and seasoned hoopdancers to their edge in trick, technique, choreography, and flow in a supportive, playful and relaxing retreat environment. 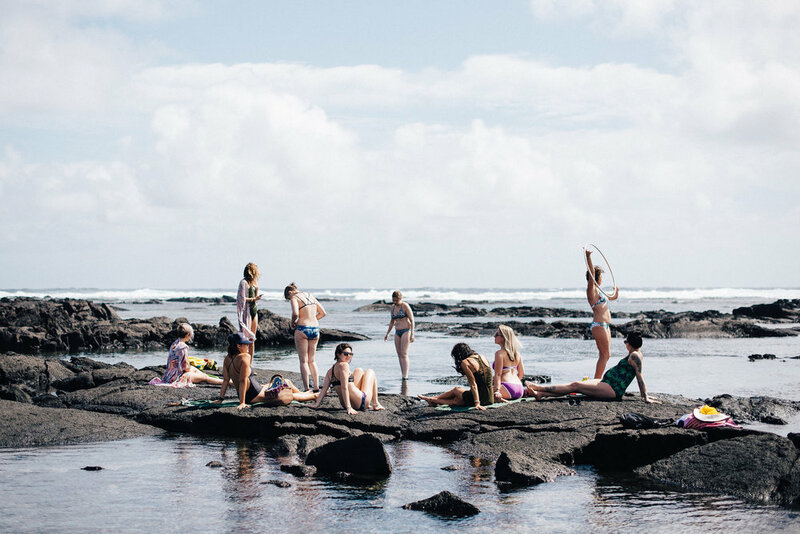 Plus: daily yoga classes, hoop jams, fire jams, skill shares, hoop marketplace, Big Island adventure time and more! Hey Hoopers! In-Depth sells out quickly. Sign up to be the first to know when the doors open, and get special access to deals and promotions. Aloha. For more than 30 years, Kalani has been a soulful place of refuge and renewal for international guests. Kalani is an educational nonprofit organization that celebrates Hawaii, nature, culture and wellness. Kalani is located on Hawaii Island, commonly known as the Big Island, and is bordered by tropical jungle and the Pacific Ocean. Kalani Honua means harmony of heaven and earth, and this is what we aspire to. We welcome all in the spirit of aloha and are guided by the Hawai'ian tradition of `ohana (extended family), respecting our diversity yet sharing in unity. We invite you to open your heart to the Big Island of Hawaii at Kalani Oceanside Retreat. Morgan aka MissMoJangles is a Los Angeles-based hoop performer, international instructor, and was recently named the 2016 USA Hooper of the Year. She is Known for her sassy Hoopography performances, creating the Hooptown Hotties and for her award-winning hoop videos including Despondence, Halo, Bang Bang, Portal, Flowmance, and Dark Paradise. Morgan loves teaching others how to express their personality & creative hoop dance through Hoopography. Her joyful, welcoming, and inviting "you can hoop with us" teaching style and approach will have you learning her Hoopography with ease and excitement! 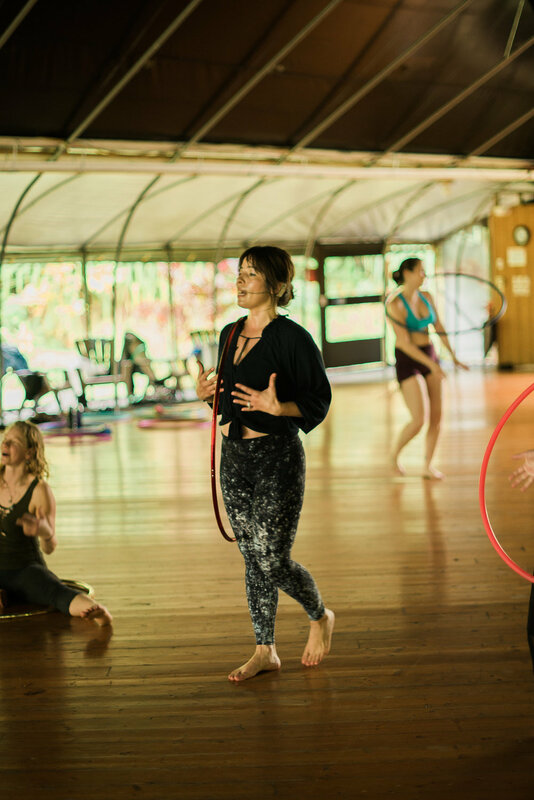 Morgan is overjoyed to be returning to the jungles of the Big Island for In-Depth Hawaii Hoopdance Retreat 2019 to guide you through some sweet hoopdance tricks, techniques, and some hoop flowetry so that you can add to your repertoire of hoopdance grooves and shake what your mama gave you! Follow Morgan on Instagram and Facebook. Rachael Lust is a former gymnast and has spent the majority of her childhood and adolescent years training and teaching gymnastics. 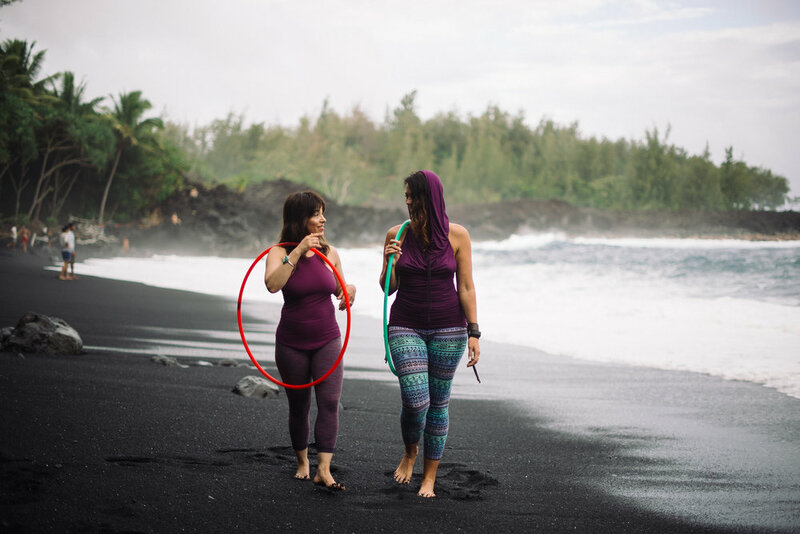 When she stumbled upon the hula hoop at age 24, she experienced the power of hooping and noticed how it began to fulfill the void that she had been experiencing since stepping away from gymnastics. Fast forward to 2019, Rachael Lust is a world renowned and internationally recognized hoopdance teacher, who has not only gone viral on social media, but has also been featured in a an awesome commercial hooping it up in the 2016 Olympics in Brazil, and has taught hundreds of workshops around the world. 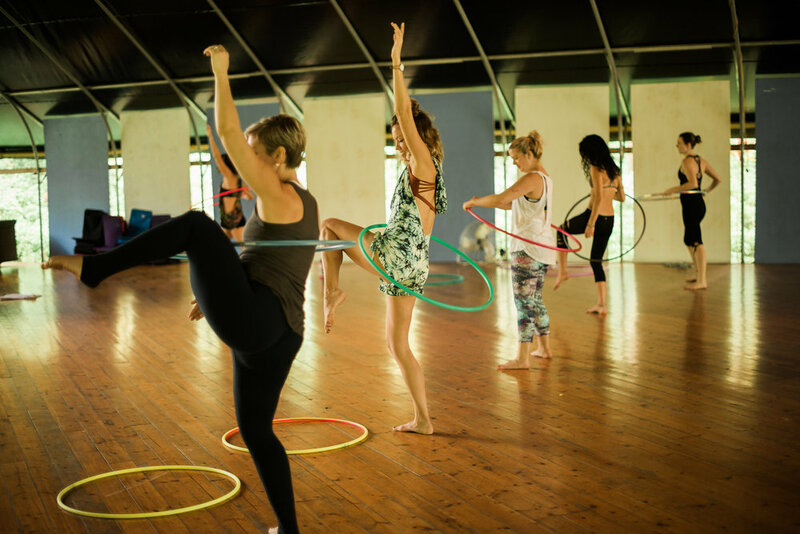 Her dedicated and disciplined hoopdance practice shines through as she takes the stage and brilliantly breaks down every ninja hoopdance move for students to add to their hoopdance flow. Her vision when facilitating hoopdance, is for every human being to feel supported as they gain skills and knowledge, while also having fun! 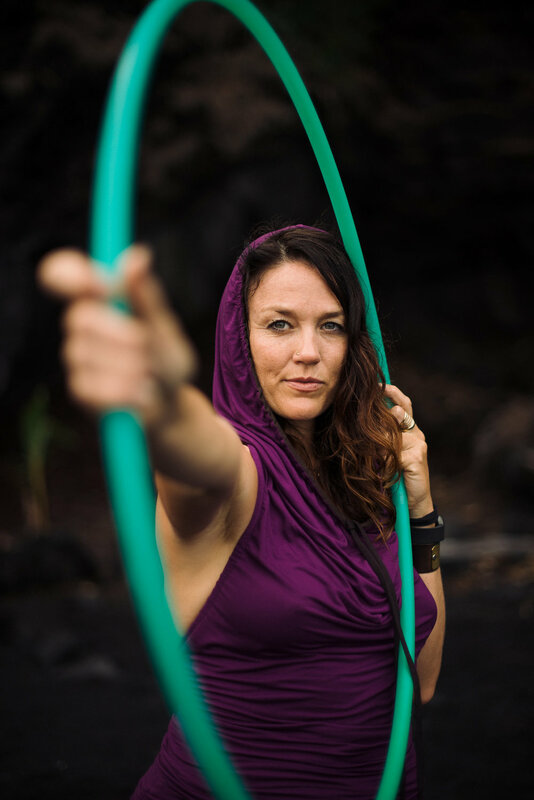 Rachael is thrilled to be joining us again at In-Depth Hawaii Hoopdance Retreat 2019 and is excited to be teaching you some awesome hoopdance tricks, techniques, and ninja hoop moves that she will be drilling and guiding you through. 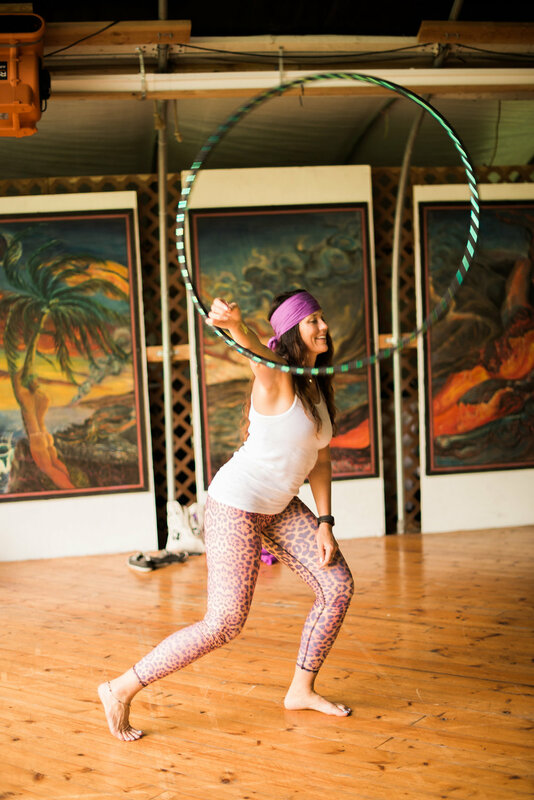 With Rachael's clear and focused teaching style she will for sure guide you to up your hoopdance flow! Gail O’Brien is a dynamic and technical contemporary hoop dancer and a renowned hoop teacher based in the UK. She has been voted both International Female Hooper of the Year and Hoop Instructor of the year in the Hooping.org awards. 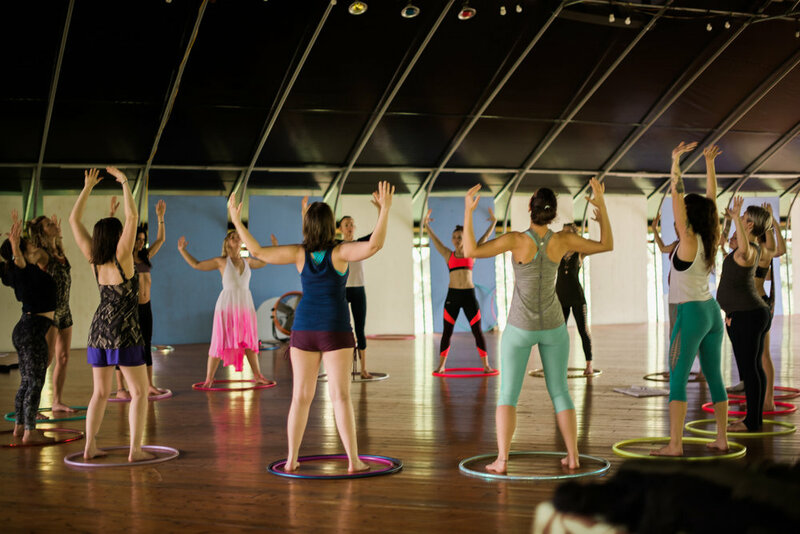 An internationally celebrated and recognized hoopdance teacher, Gail has performed and taught over the past 11 years, including Spin Summit, SWHoop, HoopCamp, European Juggling Convention, Brighton Flow Fest and UK Hoop Gatherings. She also runs the annual Manchester Hoop Congress,which brings together the best of UK and international hoop talent to teach and perform. Gail’s unique and adaptable performance style with hoop, fire hoop and LED/glow hoop has inspired the hearts of humans around the world at cabarets, conventions and corporate events. Her Hoopdance teaching style is inviting, focused, relaxed, and filled with hilarious commentary to have you learning some balancing techniques with your hoop that will up your hoopdance game! 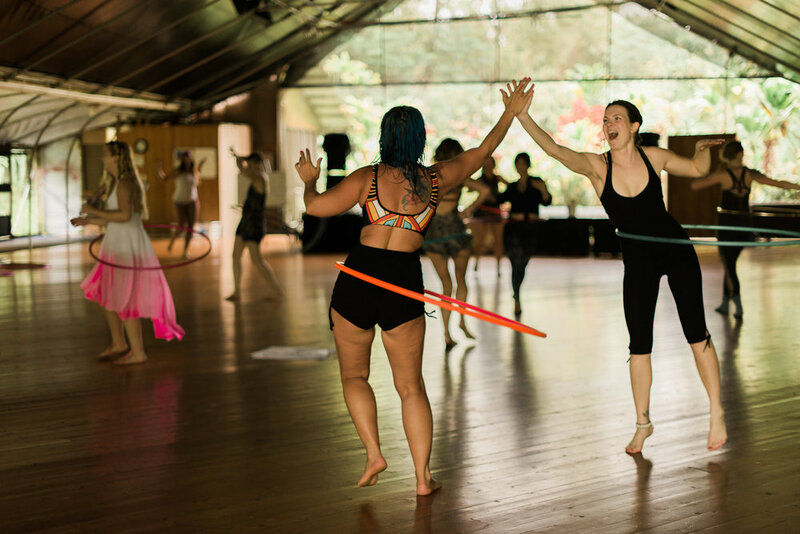 Gail has been teaching at In-Depth Hawaii Hoopdance Retreat for the past 6 years and she is so joyful to be returning to guide and facilitate a sweet and memerable hoopdance experience at In-Depth 2019! Tulasi Adeva Perrin was born and raised in Hawaii and lives in the beautiful island of Kauai. He holds a Master's degree in Somatic Psychology and is a creative alchemist fusing somatic psychology, yogic philosophy, earth based wisdom and expressive arts to heal the wounded feminine, revitalize women's creative brilliance, and inspire authentic soul-centered leadership. She has guided hundreds of women around the world to return to an embodied sense of center and walk their unique path with clarity and confidence, personally and professionally. Passionate about living with purpose and following the creative call, she empowers women to tap back into why they are really here and bring forth their gifts in a way that only they can. For the benefit of all. 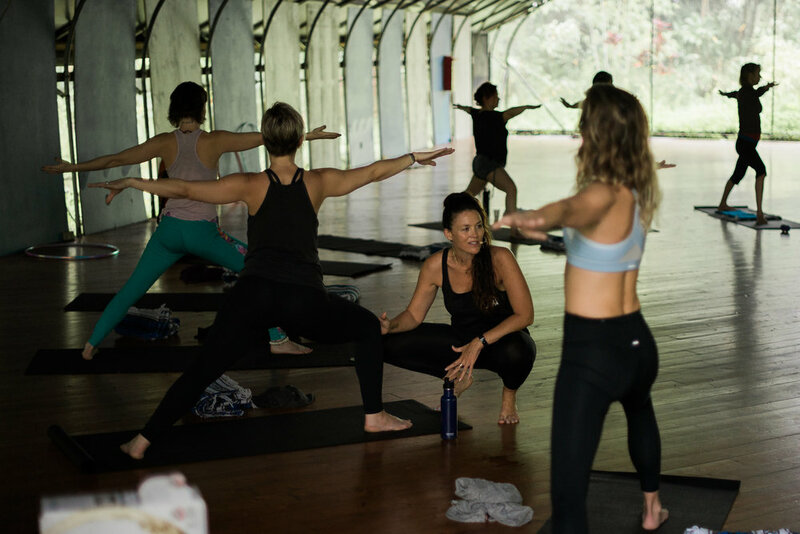 She works one on one with private clients, leads immersive programs, and teaches regular public classes. 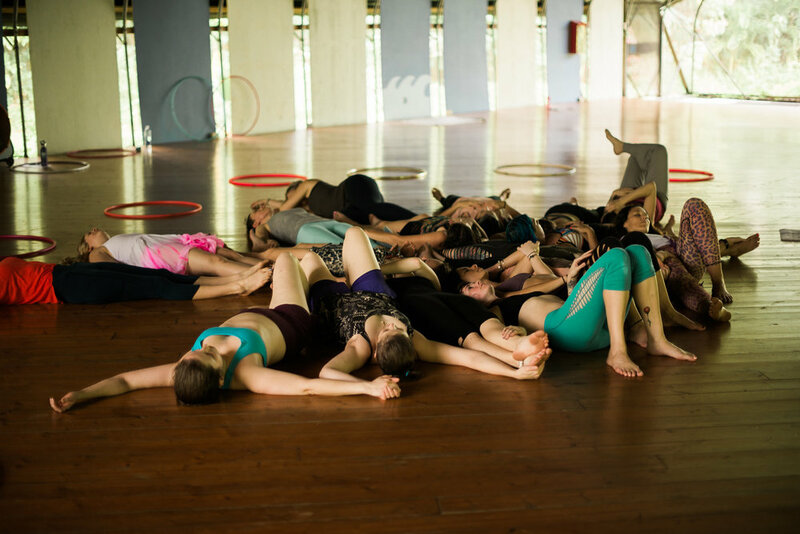 Interested in working one-on-one with Tulasi during the In-Depth Hawaii Hoopdance Retreat? 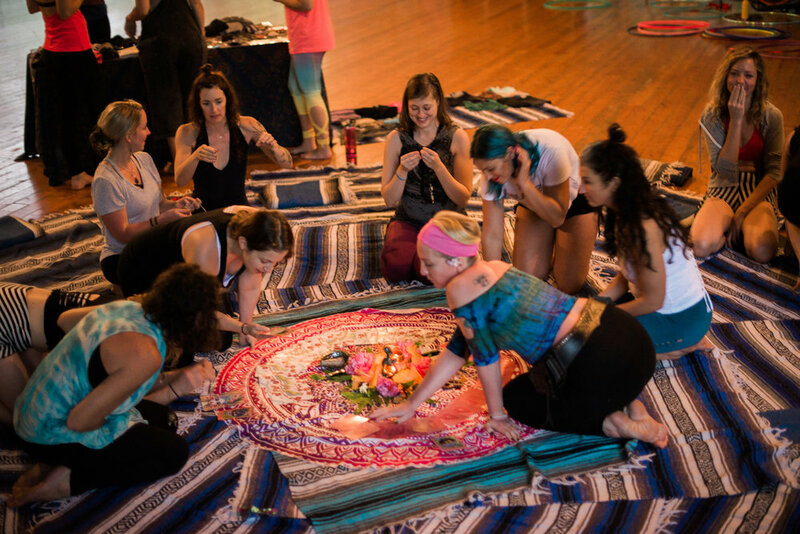 Connecting deeply with your inner guidance & body wisdom, everyday. Walking clearly & confidently toward your deep desires. Transforming limiting beliefs, fears & self doubts into super-fuel that carries you forward. Living a life that lights you up & turns you on. Waking up every day inspired to engage the possible. Sharing your voice, gifts and heart authentically. Knowing how to get soul centered & aligned with source, anytime, any place. Feeling grounded & centered in the face of challenges. Being tapped in to the creative river flowing through you. Birthing ideas & inspirations that energize & enliven you. Living aligned with the seasons & cycles happening within you & around you. Walking through the world with a treasure map that keeps you on course toward the greater vision for your life. Engaging relationships & creative partnerships with passion & purpose. Receiving loving accountability & encouragement to learn who you are, heal what holds you back & create a life that turns you on. Caroline Pauline Cárdenas also known as ‘Sweet Caroline’ is the creator of The Hula Hoop Girl, an Embodied Movement Meditation Self-Care Practice that guides women to reconnect to their own natural born rhythm while feeling empowered to self-resource and self-express through the transformational power of body play. Caroline’s life work, grounded in women’s health and women’s empowerment began at the age of 21, when her mother Grace, passed away from Breast Cancer. It was at that moment that Caroline began her soul work in the world serving as a fear guide and movement guide for women's empowerment both in the breast cancer clinic and on the dance floor. She holds a Master of Science in Nursing Education, is a certified Breast Care Nurse, a 200hr Registered Hatha Yoga Teacher, a certified Elemental Hoopdance Teacher, and a certified 5Elements Ecstatic Dance Facilitator.Her Master's Thesis "Hoop Dancing to Prevent and Decrease Burnout and Compassion Fatigue Among Nurses" has been published in the Journal of Emergency Nursing & the UCSD Nursing Journal. Sweet Caroline guides women and healthcare professionals to use joy replenishment through body play practices as a powerful self-care intervention, she leads hoopdancing classes and workshops for women's empowerment, and she speaks passionately about how play is a basic human necessity to inspire the imagination, foster human development, and nurture a great quality of life. Caroline is an advocate for joy and encourages all women to dance in the center of their joy, in or out of their hoop circle.